The Odisha Forest Act 1972 and the Orissa Timber and Other Forest Produce Transit Rules, 1980 will not be applicable to the gram sabhas recognised under the Forest Rights Act (FRA) 2006, said the Principal Chief Conservator of Forest (PCCF), Kendu Leaves, Odisha, responding to a Right to Information application. In his response on August 20, the PCCF stated that a gram sabha can itself issue transit permit for transportation of minor forest produce (MFP), including kendu leaves and bamboo, and the aforesaid Act and Rules must not create roadblocks. Besides acknowledging that appropriate means of transportations (use of vehicle) can be availed by a gram sabha, he also affirmed that it is not within the jurisdiction of forest department to seize or stop the vehicles transporting MFP. It has been more than a decade since the historic Forest Rights Act 2006 was enacted and implemented. For the first time, it gave the gram sabha—the lowest council—the right to access, control and manage forest and forest produces. Under Section 2(i), the Act defines ‘minor forest produces’ by including all non-timber forest produce of plant origin like bamboo, brushwood, stumps, cane, tussar, cocoons, honey, wax, lac, kendu leaves, medicinal plants and herbs, roots and tubers. Section 3 (1)(c) ensures collection and marketing of forest produces. 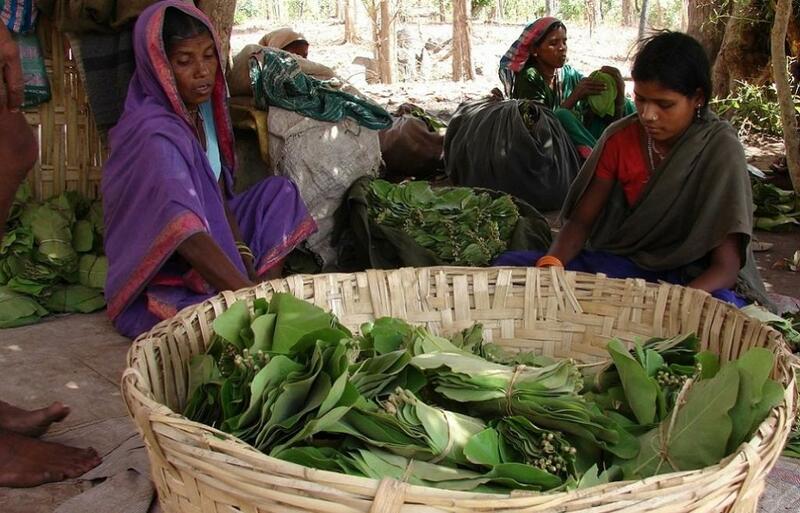 Odisha is one of the states that hardly comply with the provisions of Forest Rights Act 2006 as far as MFP is concerned. Till date, the state has the monopoly on kendu leaves and bamboo, which violates the provision of FRA. There are other minor forest produces like sal leaf, gum and resin, which are, some way or the other, being controlled by the state under the pretext of conservation and management, depriving livelihood to millions of people who depend on them. Odisha government has deliberately undermined the FRA provision related to issuance of transit permit to gram sabhas. It is sabotaging their rights to retain monopoly on kendu leaves and bamboo. The state is yet to amend existing Act and policies related to MFPs in line with the provisions of FRA. (See the box below). The prevalent laws and rules regarding non-timber forest produce (NTFP), which were created before the FRA, need an overhaul to ensure full compliance with the FRA provisions and adherence to the principle of complete ownership over NTFPs/MFPs of gram sabhas as defined under the FRA. Community rights over kendu leaves, bamboo and mahua flowers are under maximum threat from the existing laws and rules that violate FRA. The communities should have freedom of collecting, processing and selling these items. Good and Service Tax ( GST) over kendu leaves should be either fully waived off or brought down to the level applicable to tobacco leaves that constitutes the active injurious element of bidis.